Corneal Collagen Cross-Linking with Riboflavin (CXL, sometimes also abbreviated as C3R) is a non-invasive corneal treatment shown to slow or halt the progression of keratoconus. 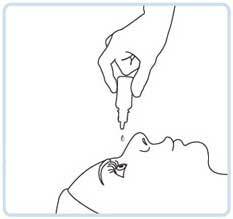 It does so by increasing the strength of corneal tissue. Undergoing CXL in the early stages may help stabilize vision. While the treatment will not correct vision or eliminate the need for glasses and/or contact lenses, it can help maintain the current level of vision and is meant to prevent vision from worsening. It can also help those that cannot wear contact lenses to more easily fit into them. The surface skin of the eye is gently polished using a rotary 'epithelial' brush. The procedure involves treating the eyes with riboflavin�vitamin B2�drops, and then exposing the cornea to 15-30 minutes of UV-A light. When combined with the riboflavin, it causes a reaction that increases the collagen bonds in the cornea which have been weakened by keratoconus. 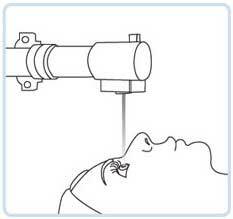 The treatment induces the natural anchors within the corneal fibers to link and prevent more bulging. Cross-linked corneal fibers actually occur naturally with aging. CXL speeds up that process and intensifies it.